Shipping info: Free shipping within the EU. All other countries are subject to additional duties and charges. This item will be freighted. Product information "French Basket Chandelier"
Ah, the basket chandelier. One of my absolute favourites and embedded in architectural history with its classic appearance often seen in palaces, state buildings and places of worship. Our beautiful G&H chandelier sports a bright gilt bronze and features six arms for candles, draped in cut crystal teardrops and chains. I love the fact that these chandeliers are so slim in their form and not so OTT. 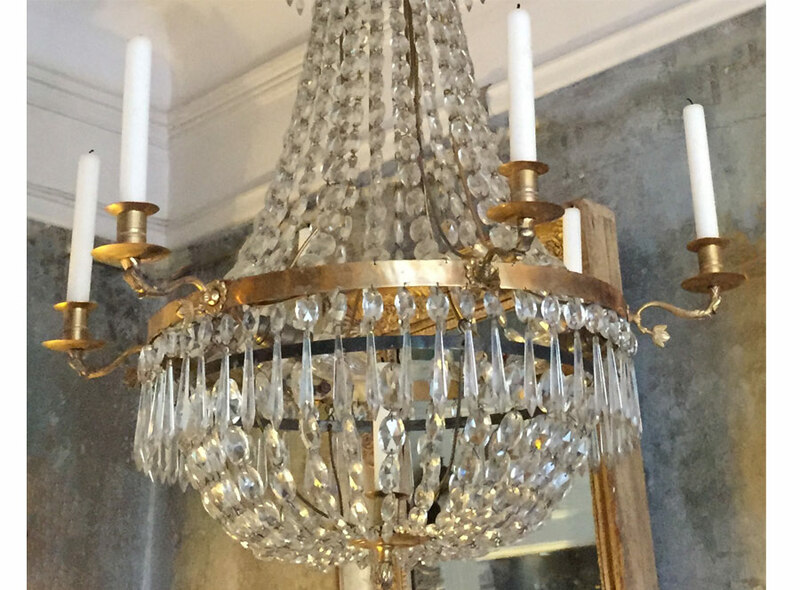 So if you are a chandelier beginner this is the style I would recommend you try to start off with. 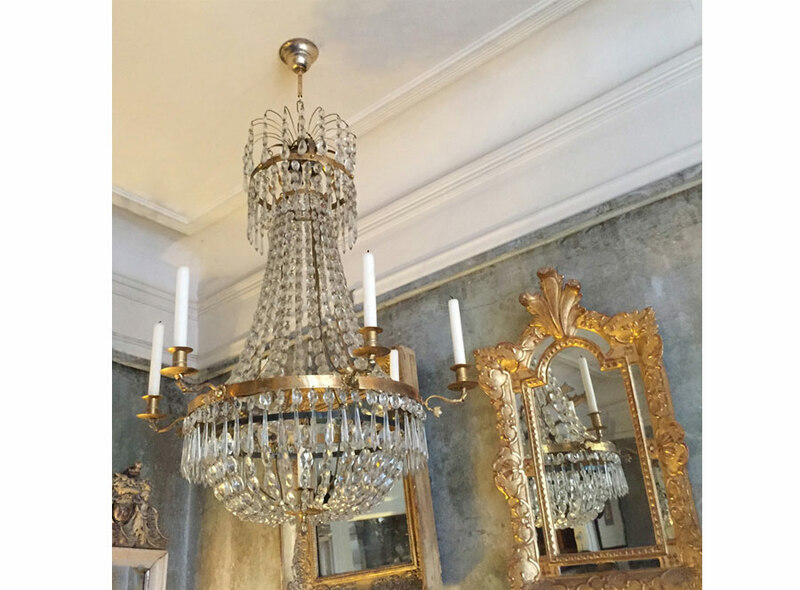 Although it is crystal it isn't as decoarated as many of the chandeliers you see and it will fit into almost any interior scheme. So if you want a little romance, glamour or both, without it feeling like a ballroom, then this is the chandelier for you. And speaking of OTT, I was sitting in a restaurant once and the entire ceiling was covered in basket chandeliers. It was a wondrous site. So with these versatile lights you can certainly choose how far you want to go. Related links to "French Basket Chandelier"
Customer evaluation for "French Basket Chandelier"